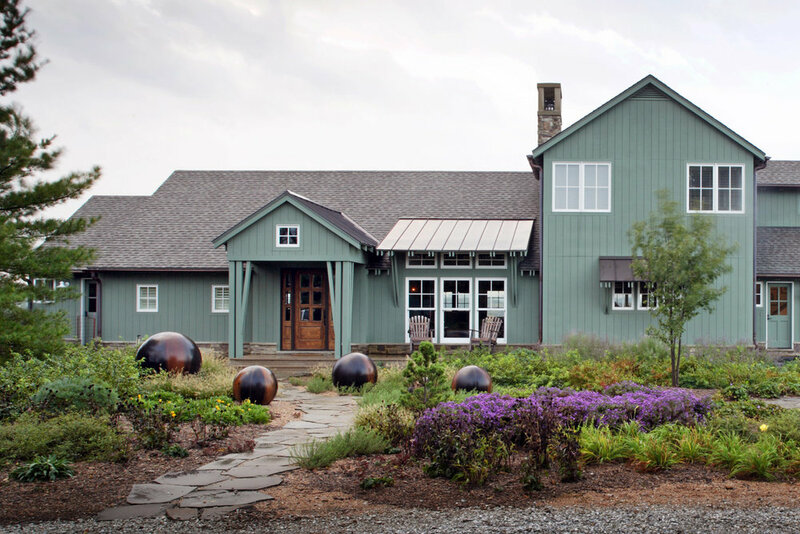 This new residence sits on 50 acres overlooking western Iowa. 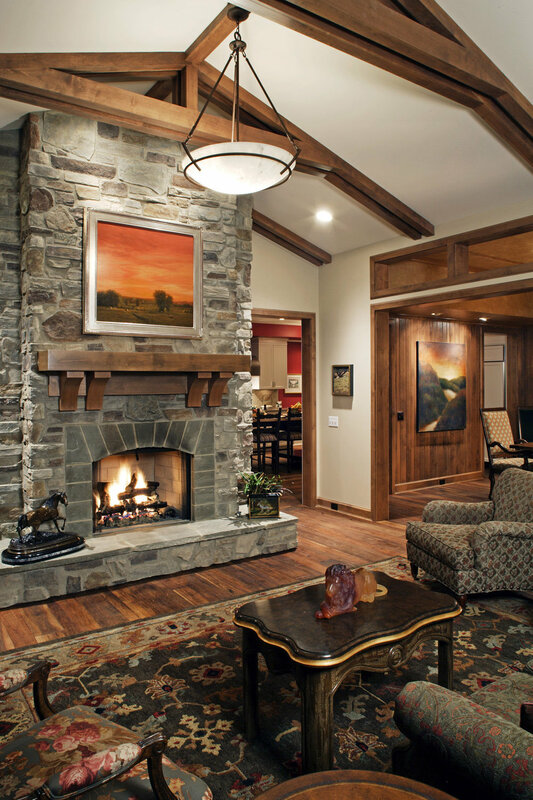 The homeowners were looking for a rural, comfortable, casual style with plenty of southern views. Exterior overhangs over the living room shade the windows from the sun. Main level balconies and a walk-out patio allow for expanded outdoor living and expansive views. Bluestone was installed in upper and lower patio areas. Exterior stone wainscot wraps around the house and standing seam roof areas give accent and interest to special windows. 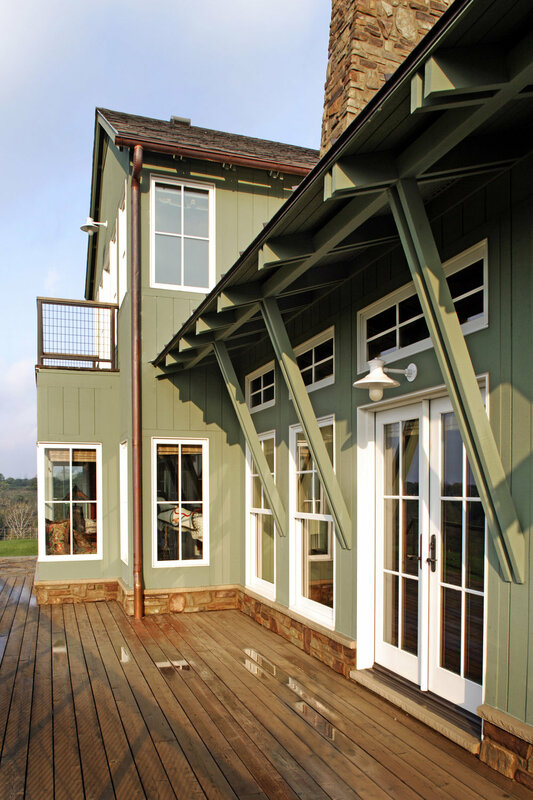 All exterior windows were designed with minimal grilles to maximize views. On the interior, the main level incorporates hand-scraped walnut flooring. 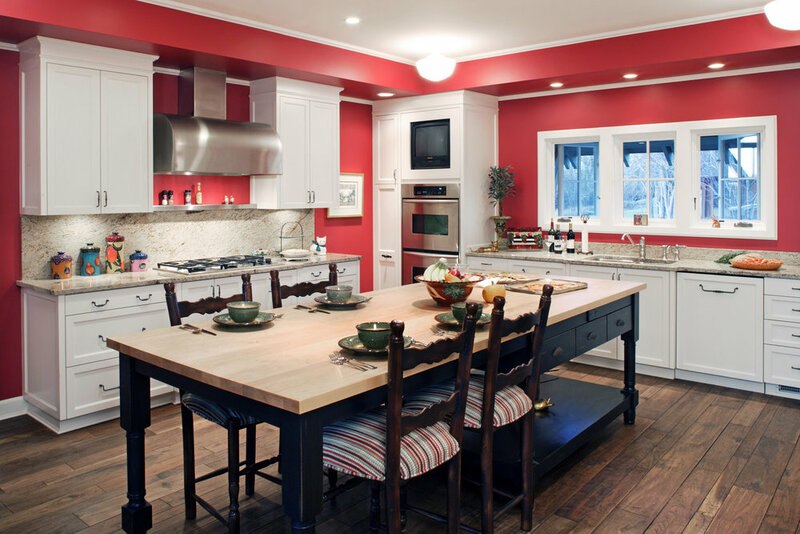 The kitchen has a custom oversized island with a bleached maple top similar to a furniture piece. The eastern master suite captures the morning sun and has its own laundry room adjacent to the master bath. 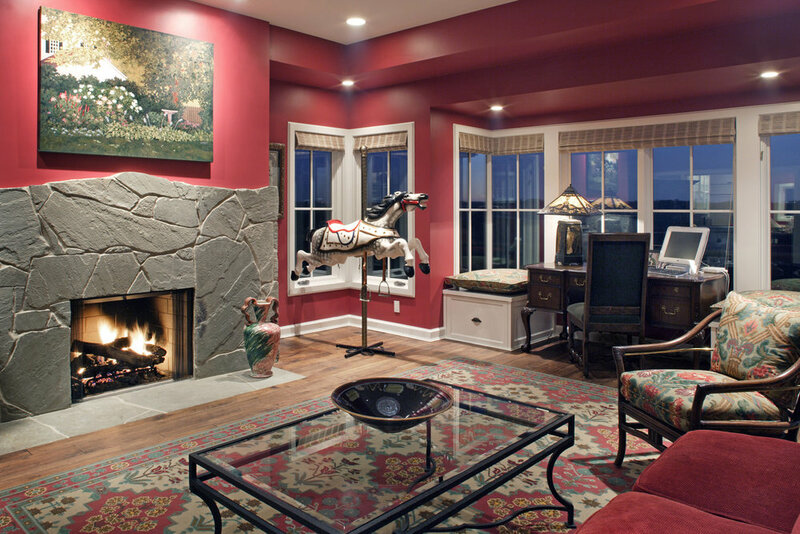 The sunroom has an irregular stone fireplace surround creating a relaxed casual feel.